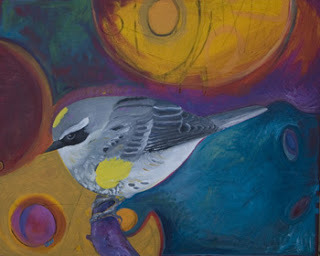 This weekend is a great one for seeing local art during the East of Asheville Studio Tour (E.A.S.T.). The E.A.S.T. spring event is a free, self-guided tour of artisits’ studios and features 19 stops in Black Mountain, Swannanoa and East Asheville. You can stop at any or all of the studios, where you’ll see and have a chance to purchase local artists’ work in mediums such as ceramics, pottery, clay, photography, wood, cut paper, painting, fused glass…the list goes on. The area is home to so many diverse and talented artists and it really shows with the studio tour. The tour runs May 2 and May 3, from 10am to 6pm. You can find out all the details at www.eaststudiotour.com or pick up a brochure with the tour map at the Inn on Mill Creek; we serve as a proud sponsor of the tour. If you miss the tour this time around, no worries, you can catch E.A.S.T.’s fall tour, which takes place October 9-10. This entry was posted in Uncategorized and tagged art, Black Mountain, festivals and special events, shopping by Inn on Mill Creek. Bookmark the permalink.